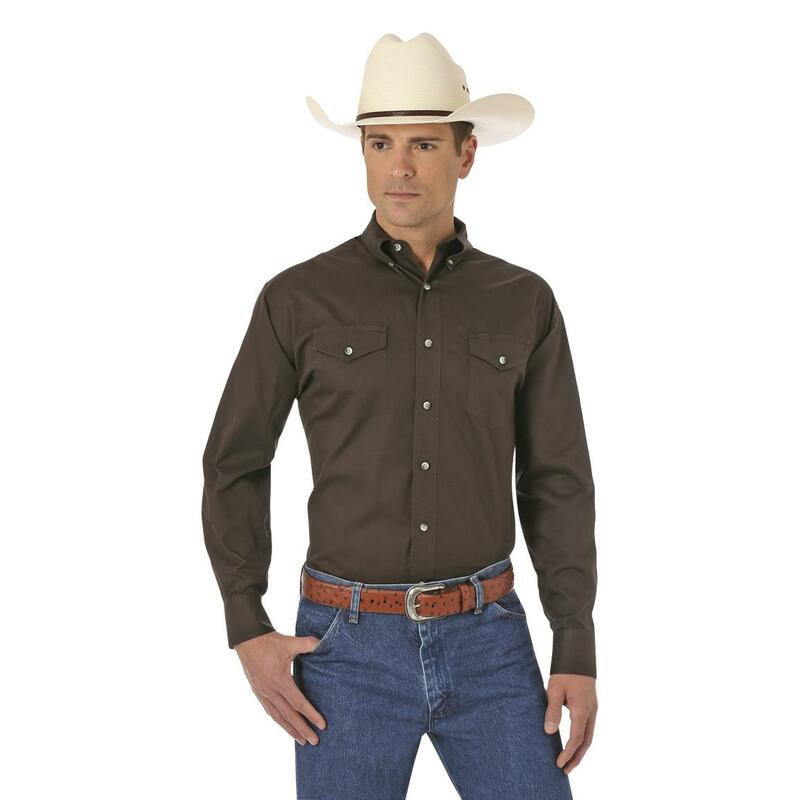 Simple, authentic…that's what this Wrangler® Painted Desert® Basic Western Shirt is all about. Take your pick of solid color to pair up with your jeans for a look that works any day of the week. 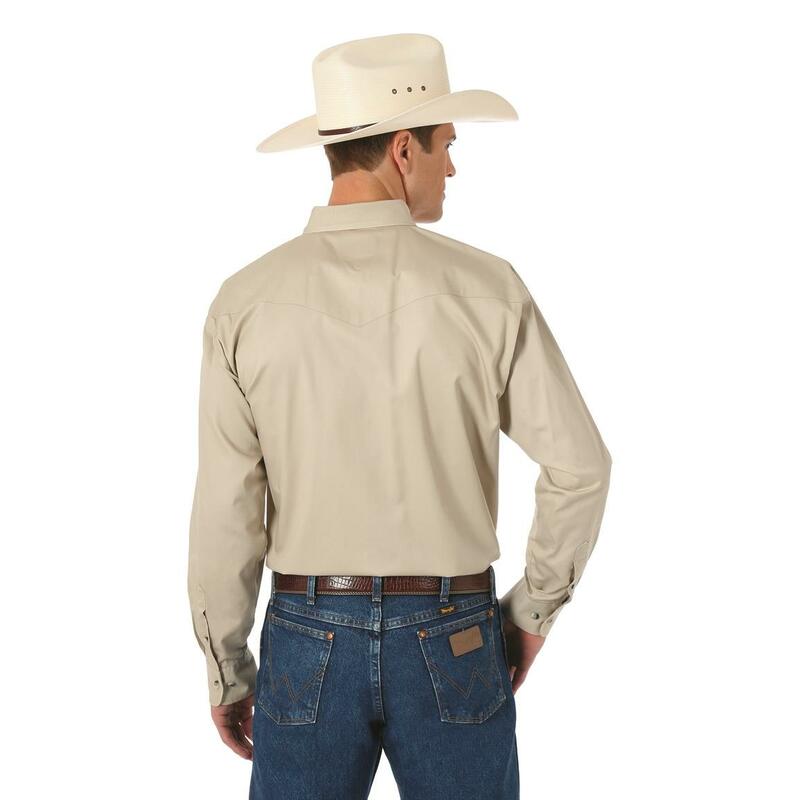 You get lightweight cotton comfort with a Western back yoke and spade flap pockets that's real Wrangler style. 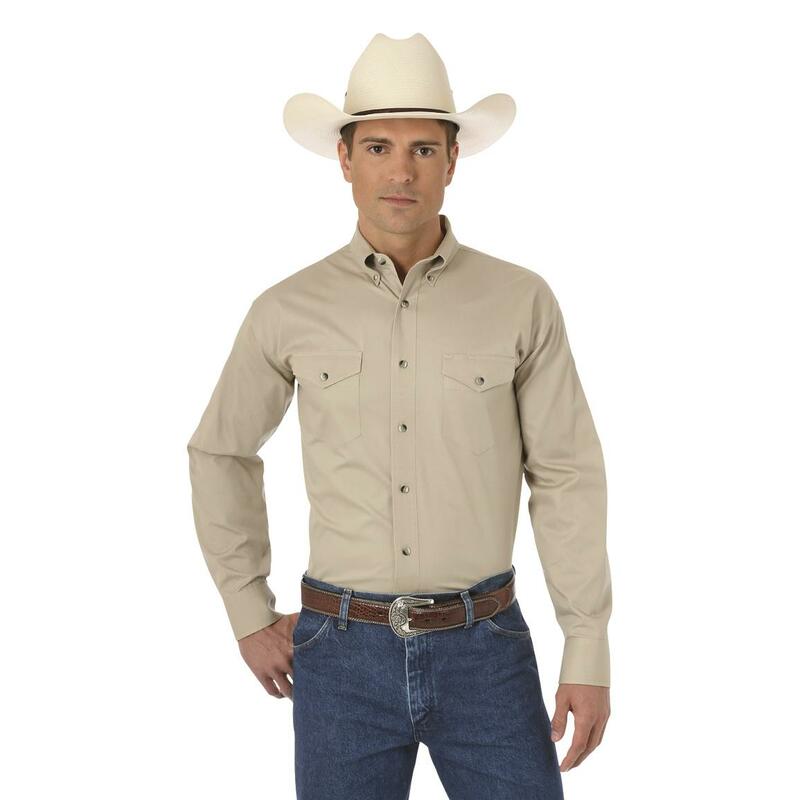 Order your Wrangler Shirt and get it sent right to you! 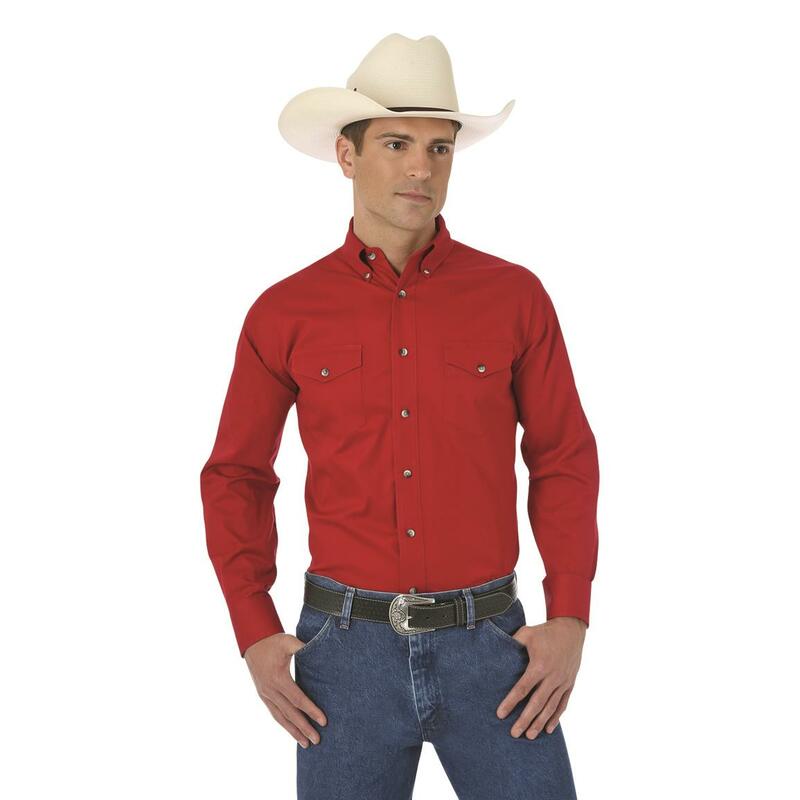 Wrangler Mens Painted Desert Basic Western Shirt is rated 4.4 out of 5 by 36. Rated 5 out of 5 by na from Great Shirt Great value. Durable . Fits great and looks good. No complaints. 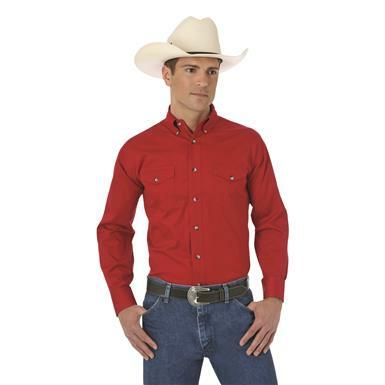 Rated 5 out of 5 by Sister Wanda from Nice comfortable shirt Great for work or play! 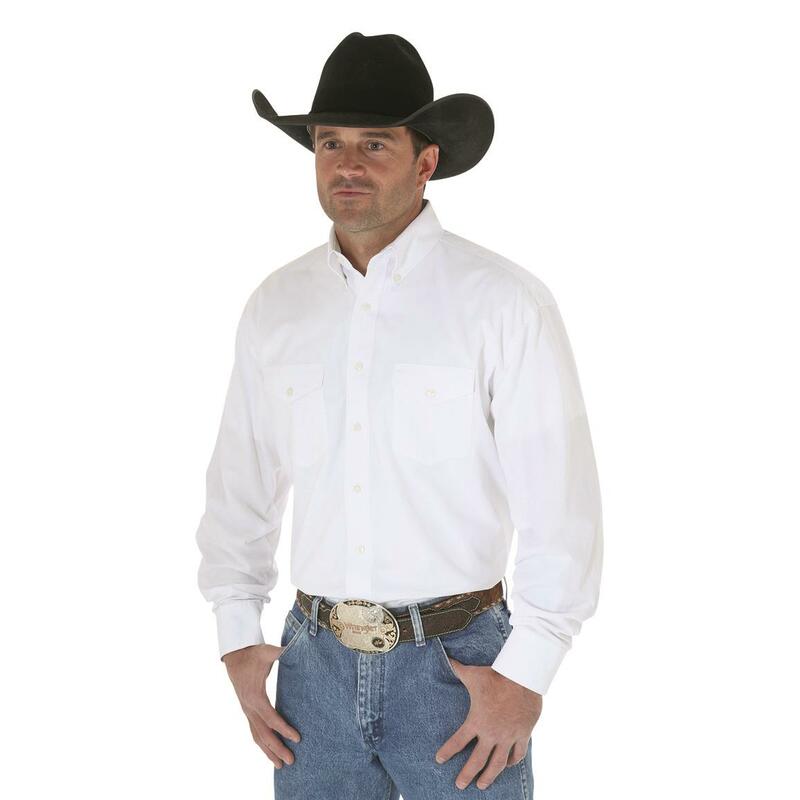 Rated 4 out of 5 by Mike 111 from Great price Prompt shipping, true to size, Item description as described only the shirt is listed as 100 % cotton which is true but only giving 4 star ratingas the material is very thin, light weight. Rated 4 out of 5 by Lone Rider from More Colors Please! Been wearing Painted Desert Shirts since the Urban Cowboy days. There were alot of cool looking shirts then and lots of colors. Need more choices and you will sell them! Rated 5 out of 5 by Butch from Comfortable shirt Wear these shirts on dates, a day of work.